What artist/concert have you been to lately? After seeing him on the TV playing the New Years Eve gigs, we booked to go see Niles Rogers and Chic at the Scarborough Open Air Theatre this weekend just gone. All I can say is, that was a quality gig at a cracking venue (it did help with the current heatwave weather). For a guy that has survived aggressive cancer, he puts his all into his gigs. Hats off to him. King King, Whitley Bay Playhouse, brilliant show. I saw Will Downing, Melisa Morgan and Najee live at the Islington assembly hall last Friday evening, what an epic concert. Soul and Jazz music by the way. 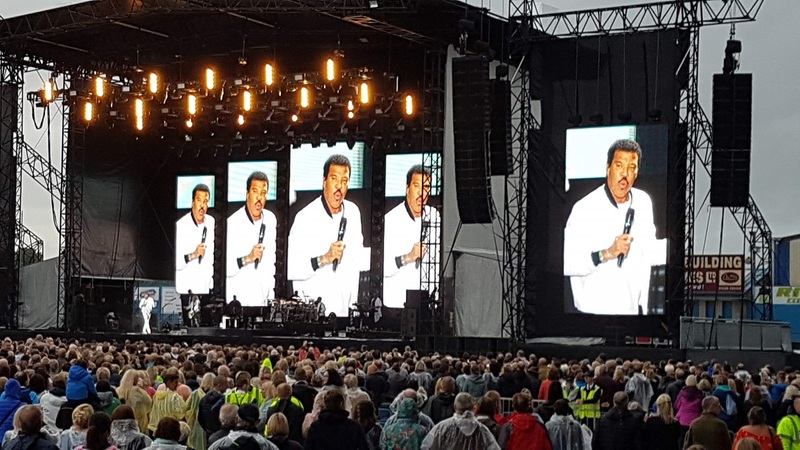 Saw Lionel Richie last week at Carlisle FC. Not my kind of music but he really was very good and some great songs. Really liked his single, Sometimes, and I'd heard a couple of other tracks on YouTube so bought the album. It's really very good. Belter and Diamonds in the mud are perhaps the two best tracks on the album. Some corking lyrics in amongst the tracks. Only criticism I can level at it is that it's a little short. 9 tracks, totalling about 30 mins. Had a drink with this guy a few years ago and was a good laugh. Great to see he is making a name for himself. Certainly is. Doing it all himself too. Not signed up to a record label apparently, despite all the big ones trying. Not been to much high profile gigs lately. Heading off to see Editors tonight. One of my favourite bands that have dropped off the radar for a while. I've no doubt it'll be loud and good tonight. Backfired. The band called off at the last minute. Not amused. Last edited by Kerr; 12-10-2018 at 08:13 PM. Seeing The Coral in Liverpool tonight. Saw Ludovico Einaudi Live last summer. Simply incredible.